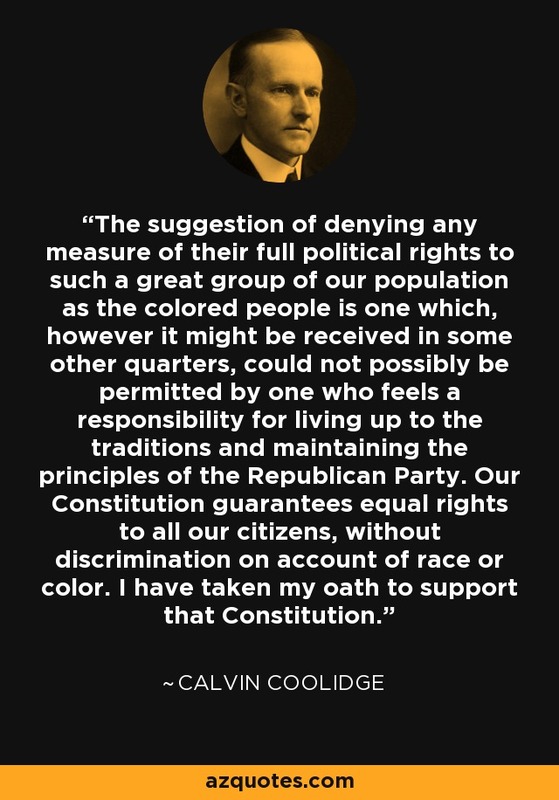 The suggestion of denying any measure of their full political rights to such a great group of our population as the colored people is one which, however it might be received in some other quarters, could not possibly be permitted by one who feels a responsibility for living up to the traditions and maintaining the principles of the Republican Party. Our Constitution guarantees equal rights to all our citizens, without discrimination on account of race or color. I have taken my oath to support that Constitution.